Better break over of the foot, better movement coordination. Less pressure on the tendons. Sole relief built in, prevents pressure on the sole. A high quality shoe that aids breakover. Front only, side-clipped. 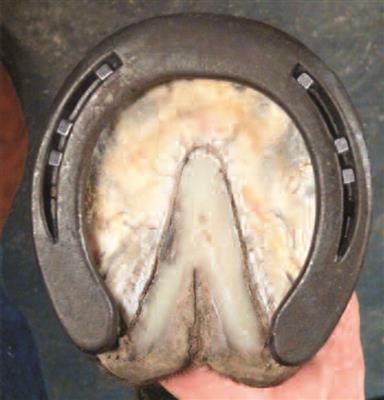 The new Steel Comfort shoe is intended to meet the demands of farriers looking for a high quality shoe which aids in breakover.